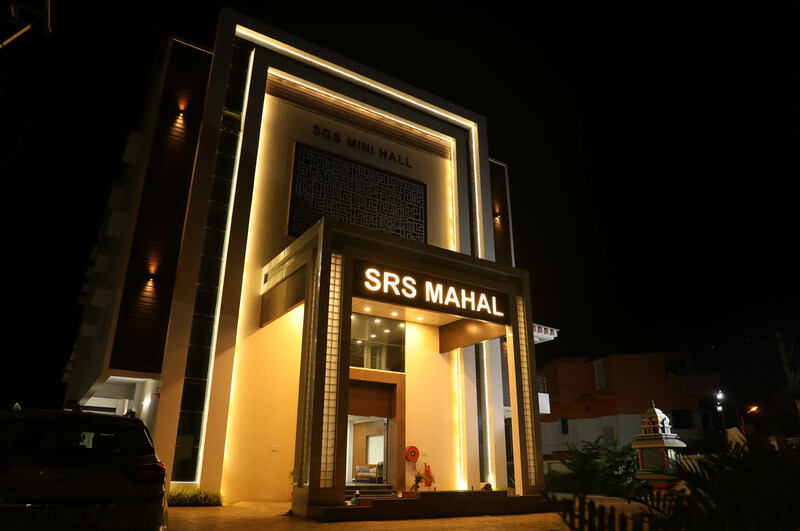 A place where Marriages are made Beautiful and Unique like Fingerprints..
SRS Mahal is one of the leading marriage halls in Chennai, as 1km from Urapakkam Railway Station and 400meters from GST (Grand Southern Trunk) Road (Tea Kadai Bus stop). It is an architect designed Marriage hall. Set on 6 grounds of abundant natural beauty with 65% of landscaped open space, SRS Mahal is designed to capture your imagination. Nestled amidst the lush landscape just on the brim of Chennai, SRS Mahal presents and unmatchable elegance, convenience & luxury for your special occasion – be it a Engagement, Wedding, Reception, get-together, Birthday parties, any cultural events, Seminars, Conferences or simply a rendezvous with your family, relatives and friends. 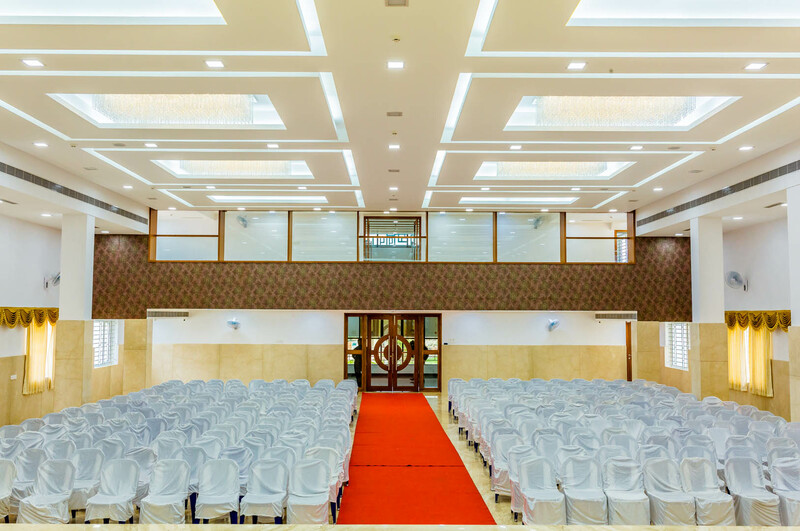 A huge conventional, Vaasthu-compliant based best wedding halls in Chennai with Centralized Air Conditioning. 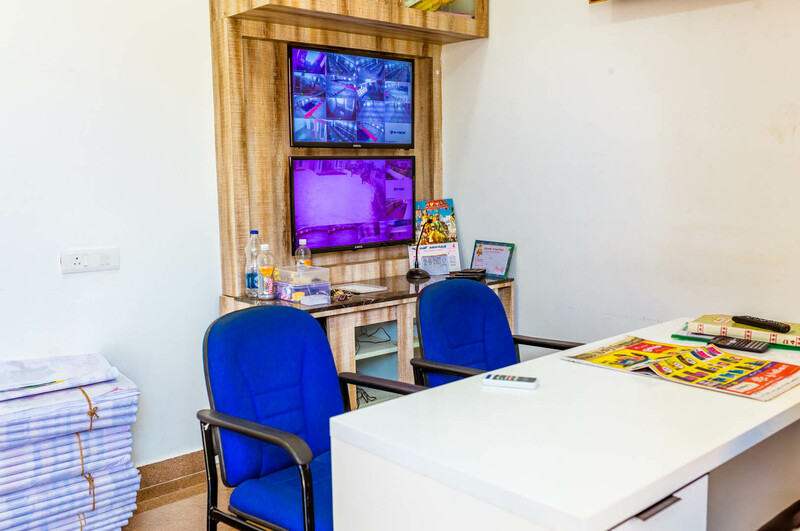 It can accommodate approximately 700 – 900 people and offer a perfect setting for those special moments. The Main Hall has a wide magnificent Foyer on the East. The Floor to Ceiling height is a clear 20ft and the entire hall space is acoustically treated on the wall and the roof. It also has a mezzanine floor where it can accommodate around 50 to 60 people. Every wedding is uniquely special, but our SRS Mahal wedding is exceptional. ** The Rent of Mini Hall is fixed excluding catering services. On availing of catering services customer will be charged ₹ 15,000/- for mini hall rent. Royal weddings are our signature. Let us turn your fantasy wedding into reality.